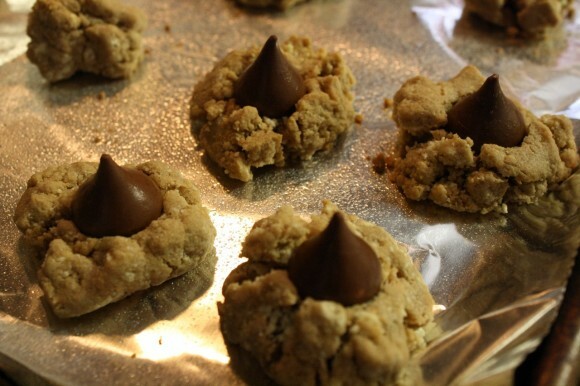 In the pre-allergy days, I used to make peanut butter cookies and top them with Hershey kisses. 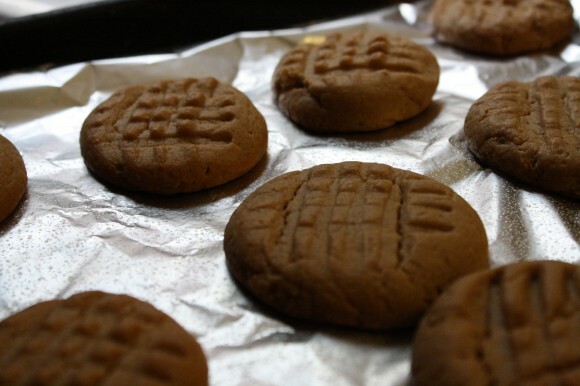 Peanut butter cookies were Hodgepodgedad’s favorite. But now we make Sunbutter® cookies and crown them with kisses. I can not tell the difference between the two in taste. And that’s not just because I love Sunbutter®. You can tell from the photo that the cookies crumbled a bit but that’s ok.
Because we love every crumb. Immediately after taking cookies out of the oven, press a Hershey kiss into the middle. Enjoy! Then have another. These look fantastic! It is important to find delicious substitutes when you have a child with food allergies. Well done!